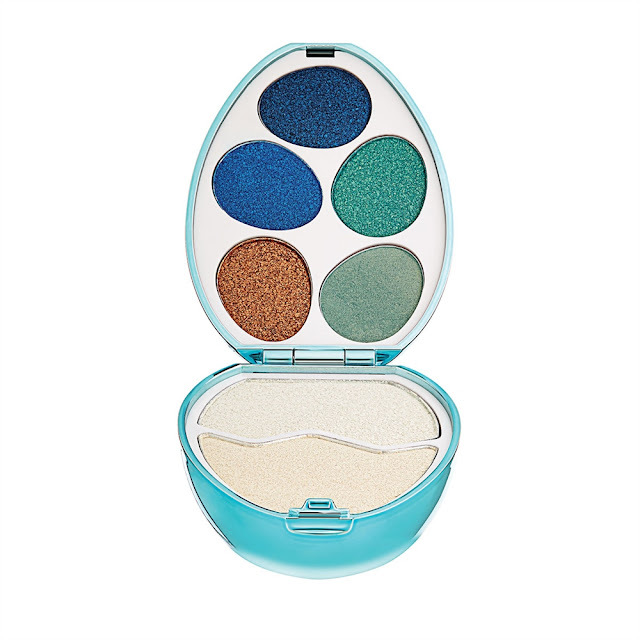 I cannot get over the irresistibly cute Easter collection from Makeup Revolution - I need them all, for sure! These are six colourful Easter Eggs that you open to find five eyeshadows, and two highlighters. PERFECT for travel. Perfect to look cute on your vanity. Perfect to gift someone. Each egg is perfectly coordinated in terms of the shades inside, as well as the external colour of the egg. Get an empty six-egg box from the supermarket, stash these into it, and place on your vanity to grab Insta-eyeballs. These are JUST £5 EACH! So that's £30 for the lot. A steal, what? Rush to get yours here in time for Easter! Stay tuned for my review, swatches, and makeup looks with these - as soon as I saw them, I ordered the lot! Scroll down for details on the Easter Egg Surprises From Makeup Revolution. Each egg, as I said, is perfectly coordinated. Four are named after mythical creatures, of course. You have the ubiquitous unicorn, the mermaid, and the dragon, with the angel being a surprise inclusion. Two are named for trending colour schemes - there's rose gold, and gold. The metallic finish makes these stunning. The hinged lid... a great deal of thought has gone into these, and I especially love that these are NOT dupes for something else from another brand. Well done, MUR. This is why we love you so much. Let's take a dekko at each egg. I promise swatches, looks, and reviews once my order arrives. DRAGON - Buy it here. Dragon, obviously, is fiery. 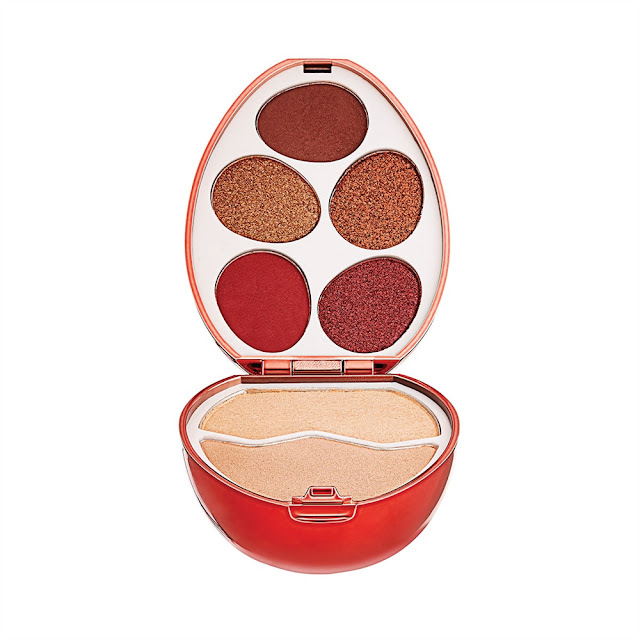 Think scorching red, gold, and bronze. ROSE GOLD - Buy it here. You know the drill. Rose gold. MERMAID - Buy it here. Deep sea. Sky blue. Emerald green. Stunning. UNICORN - Buy it here. 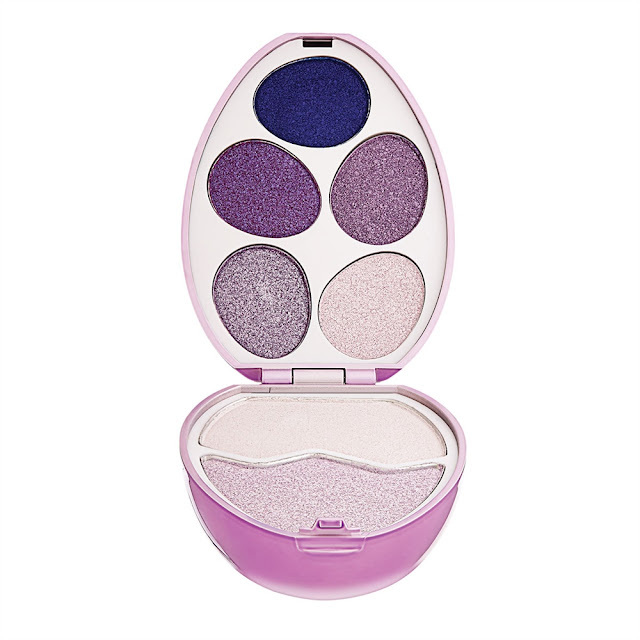 Everything from deep to icy purple to unleash your inner unicorn. GOLD - Buy it here. ANGEL - Buy it here. Delicate lilac, pink, silver, and a couple of neutrals thrown in for good measure. I CANNOT get over how cute these are, and how practical they are for travel. 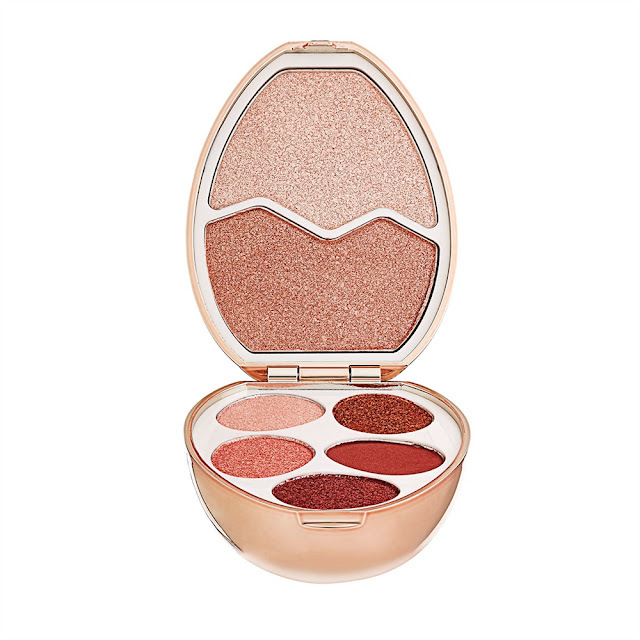 You want to take along a five-shadow palette, for a complete glam look, as well as something subtler, if necessary, and a highlighter/bronzer/blush? Look no further; just slip one of these into your suitcase. Or, you could stock up on these to use as stocking stuffers come December. I know I'm going to cover these in stickers, just because. They are ASKING for it. I will be doing a swatchathon and review once my order comes in. 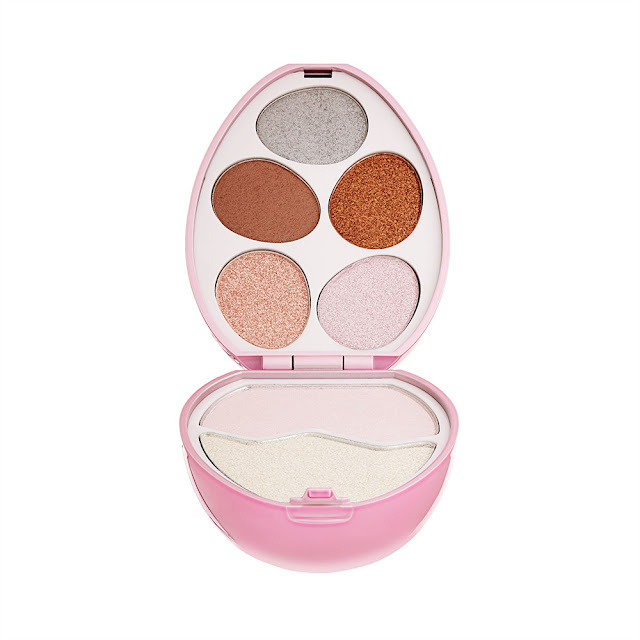 To get your Makeup Revolution Easter Egg Surprises, go here - they ship worldwide. 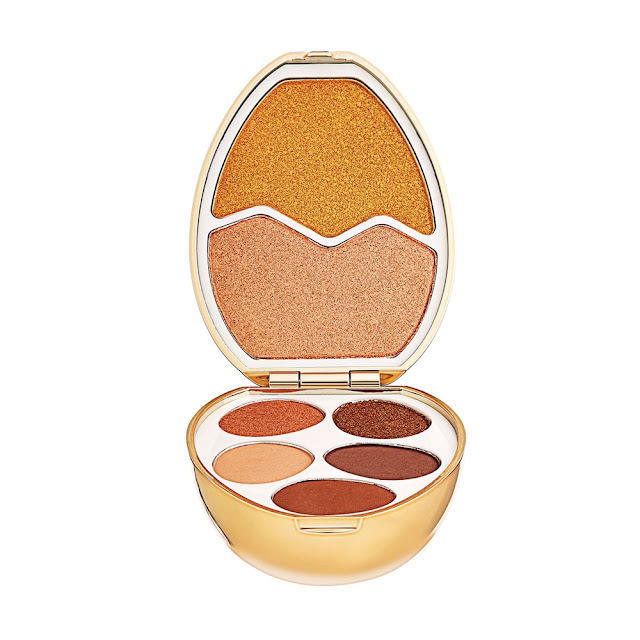 At a price of £5 per egg (for which you get five eyeshadows and two highlighters), you CANNOT go wrong, and these are uber-cute to resist. G'wan, get the lot before they sell out!